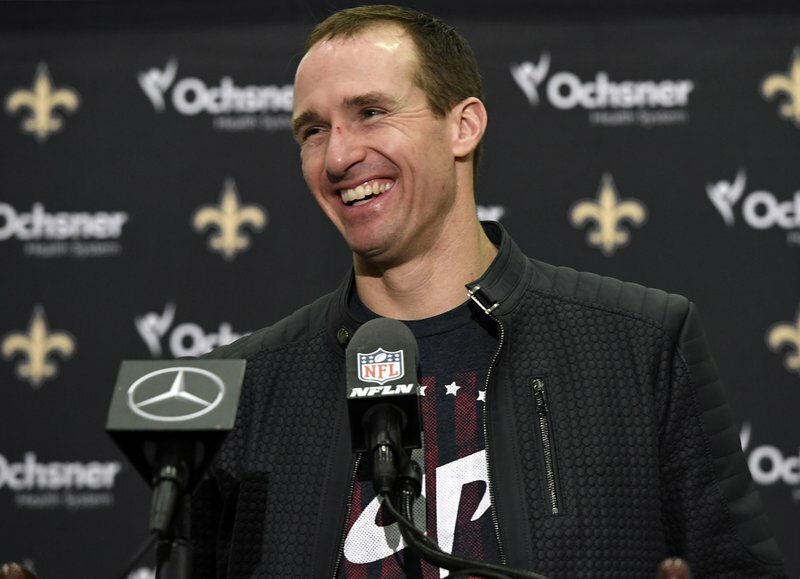 When the Saints host the Los Angeles Rams in the NFC championship game in New Orleans on Sunday, it’ll be the first time Brees, who turned 40 on Tuesday, has played for the conference title since the 2009 season. Brees turned 31 shortly before the Saints defeated Minnesota en route to the franchise’s lone Super Bowl. Baylen was Brees’ first child, born on his father’s 30th birthday, and had recently turned 1 when the Saints beat the Colts in Miami in February 2010. “He said, ‘Go to the Saints facility with dad,’” Brees said. “That kind of stuff is what memories are made of and you want them to enjoy that as much as possible and give them those moments as much as possible. There has been plenty to enjoy. While leading the Saints to a 13-3 record and No. 1 playoff seeding in the NFC, Brees broke NFL records for completions and yards passing. Through 18 regular seasons, he has completed 6,586 passes for 74,437 yards. His completion record surpassed Brett Favre’s 6,300. His yards passing eclipsed Peyton Manning’s 71,940. Brees’ 520 touchdowns passing leave him 19 behind Manning — but also only three ahead of 41-year-old New England QB Tom Brady — for that record. This season was not Brees’ most prolific, but was his most efficient. While Brees’ 3,992 yards passing were his fewest since he joined the Saints in 2006, but his 74.4 percent completion rate broke his own previous NFL record of 72 percent — set just last season. His TD-to-interception ratio of 32 to five was the best of his career. The Saints did not have practice on Brees’ birthday, but he went to work anyway. As with the 41-year-old Brady, Brees’ teammates sometimes seem in awe of the discipline he demonstrates in not just maintaining health and fitness, as well as the work he puts in to studying game plans and opposing defenses, constantly refining his throwing mechanics and taking extra time after practice to develop chemistry and timing with receivers. And they weren’t surprised that Brees was widely viewed as one of the leading candidates for league MVP this season, along with Kansas City quarterback Patrick Mahomes, who is nearly 17 years Brees’ junior. Ingram went on to say that if anything, Brees’ age is still an asset, because even seasoned pros can benefit from a more experienced team leader who still performs at a high level. Notes: Newly signed defensive tackle Tyrunn Walker practiced with the club for the first time after filling the roster spot that opened when starting tackle Sheldon Rankins went on injured reserve with a torn Achilles. … Rookie receiver Keith Kirkwood missed practice with a calf injury and tight end Ben Watson did not practice because of an illness.